THE RODS ARE ROCK N' ROLL MACHINES!!! THE RODS are a rough-and-ready power trio who have been laying the smack down for 30 years and who are still determined to tear the 21st century a new one! 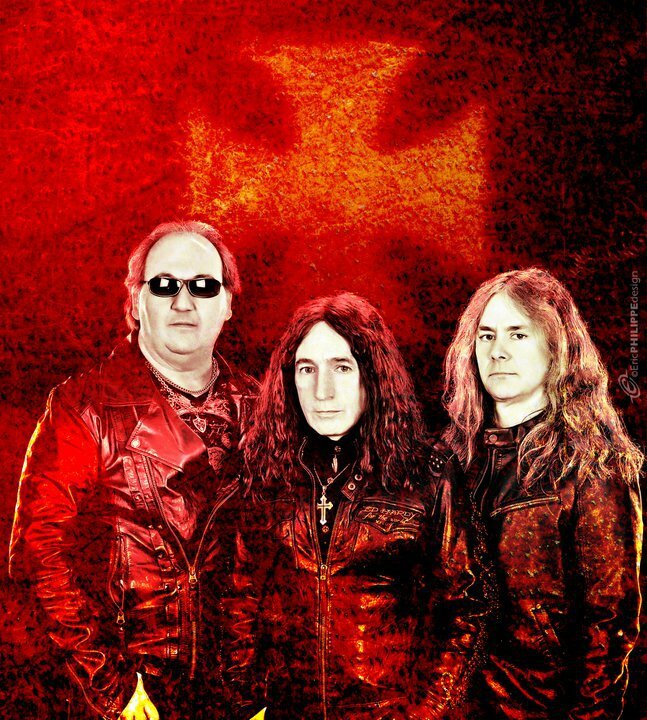 I get to talk to the veteran Rods drummer CARL CANEDY and learn the secrets of the the band, including their 1981 tour with Ozzy Osbourne and Randy Rhoads, how they've kept together all these years and their new album "Vengeance". Carl also talks about some of the many bands he's produced over the years, including Anthrax, as well as The Rods' relationship with the late Ronnie Dio, who sung one of his last songs on "Vengeance". Get the lowdown from Carl right HERE! HATE ETERNAL "Phoenix Amongst The Ashes"
TWISTED TOWER DIRE "Make It Dark"
GRAVEHILL "When All Roads Lead To Hell"